KUWAIT CITY (KUWAIT): Six-time event winner and defending FIA Middle East Rally Champion Nasser Saleh Al-Attiyah tops a fascinating entry list for next month’s Kuwait International Rally, the fourth round of the 2018 FIA Middle East Rally Championship (MERC). The event takes place on November 1-3. Bidding to win the regional title for the 14th time in 17 years, Al-Attiyah teams up with his usual French navigator Matthieu Baumel at the head of an international field of competitors from Qatar, Kuwait, Lebanon, Jordan, France, Czech Republic, Italy and Portugal. Local hopes rest firmly on the shoulders of Meshari Al-Thefiri and his Qatari co-driver Nasser Al-Kuwari. The Mitsubishi Lancer Evolution X driver tops the Group N or showroom category and is hoping to confirm a fourth MERC 2 title after pushing Al-Attiyah for the overall award last season. Other Kuwaiti drivers on the list include Jassim Al-Muqahwi, Masoud Al-Saleh, Mohammed Al-Thefiri, Farad Al-Mutairi and Mubarak Al-Thefiri. One of the surprise names on the entry list is that of Nasser Khalifa Al-Attiyah, the former President of the Qatar Motor and Motorcycle Federation (QMMF) and former FIA and FIM Vice-President. A regular on the regional rallying scene throughout the 1990s – where he missed out on the overall MERC title to Sheikh Hamed Bin Eid Al-Thani in 1993 – Nasser made the transition to officialdom and is relishing the chance to tackle special stages again. He did compete at a Ha’il International Rally a few years ago in a Land Rover and has called upon the services of the late 2010 MERC champion Misfer Al-Marri’s Italian navigator Nicola Arena to keep him on the straight and narrow over the demanding Kuwaiti gravel and sandy special stages. Czech driver Vojtĕch Štajf knows that a rally win could keep his title hopes alive, while the entry is bolstered by the likes of last year’s Qatar International Rally winner Rashed Al-Nuami, the Jordanian duo of three-time national champion Khaled Juma (2015, 2016 and 2018) and Ihab Al-Shorafa, Oman’s MERC 2 front-runner Abdullah Al-Rawahi and Lebanon’s MERC 3 series leader Henry Kahy. 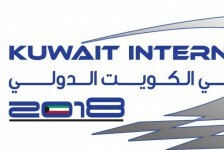 The Kuwait International Rally returns to the calendar after a one-year absence and is being organised by the Basil Salem Al-Sabah Motor Racing Club (BMRC) under the chairmanship of Sheikh Athbi Nayef Jaber Al-Ahmad Al-Sabah and in conjunction with the General Authority for Sport and the Kuwait International Automobile Club (KIAC). Competitive action will get underway with a timed super special at 16.00hrs on Thursday, November 1 after the ceremonial start at Kuwait’s exciting new Motor Town Race Circuit. Entries officially close on Saturday (October 13).